by Ms. Charu Thapar, JLL India. Across the globe, there is growing global awareness of the need to increase gender diversity in the workforce. Corporate India is no exception, and there are some very noteworthy instances of women in leadership roles, but Grant Thornton’s ‘International Business Report’ in March 2014 actually stated that the proportion of women in senior positions in the Indian workforce reduced from 19% in 2013 to 14% in 2014. Indian organizations have been rather slow to accept this new mantra. · Why Do We Need Gender Diversity? Never mind nurturing and sensitivity. The fact is that women are now essential to the bottom line. That alone is why Indian organizations need to be proactive in employing more women and promoting - or holding on to - the ones they already have to positions of leadership. · Where Does India Stand On Gender Diversity? 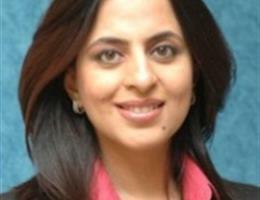 · So Where Are India’s Women Leaders? Women already head at least nine banks, five FMCG companies and at least eight IT/ITeS companies in India. There are at least 7% of women as board members in listed companies in India - but at least 50% of them are family members of the owners, according to data from AVTAR Career Creators. A meagre 1.5% of women leaders - from a population of 500 million women - are on company boards on merit, while, according to WILL Forum, almost 90% of working women in India are stuck in mid-level jobs. With so few women making it from junior to middle levels, the pool of women able to move to senior level positions is that much smaller, and therefore the problem of the leaking pipeline is actually more severe. India also has the lowest national female labour force, and the largest leak in the pipeline takes place early on in a woman’s career - from junior to middle level positions. Women’s careers are in direct conflict with motherhood, and often women give up for the latter. This results in their dwindling numbers reducing even further. In 2013, a new company law was passed that mandated a specified class of companies to have at least one woman on the board. Since this became law in August, dozens of companies have been looking to rope in woman directors on their boards. Some might argue that we need more aggressive reservations, like the ones in place in European countries like Norway, Italy, the Netherlands and most recently Germany, where the biggest companies have been ordered to ensure that 30% of supervisory board positions are held by women from 2016. But given the resistance to even the Women’s Reservation Bill in the Indian Parliament, I am doubtful this will happen anytime soon. Today, at the beginning of 2016, the Indian women I see around me are no longer the submissive, nurturing, obedient and emotional. Today’s working women are just as aggressive and ambitious as men. They recognize their talents and understand their rights. They are ready and willing to play a larger managerial role and ‘lean in’ to their careers more than their mothers ever did. Along with the changing values and attitudes of a woman’s role in Indian society has come an increase in the Indian woman’s earning power. Today, many Indian women are earning as much (if not more) than their spouses. They are more confident of their abilities and have greater career aspirations. At JLL India, the country’s largest and leading International Real Estate Consultancy, the diversity focus is underpinned by what is collectively termed as 3Gs – Gender, Generation and Geography. Inclusion is at the core of the 3Gs as the Firm addresses its business objectives of attracting talent, developing and retaining this talent and driving client-centric innovation and performance. Here, the work environment is conducive to sharing of ideas in an open and respectful manner, thereby catalysing the flow of creative solutions to the Firm’s clients. Work groups such as ‘Mavens’ have been formed to help women employees share their challenges and find solutions to ensure that the female workforce stays motivated, enabled and encouraged to strive on. Additionally, JLL India’s gender diversity initiatives include a gradual return to work policy, flexi hours, mentorship and in-office ‘babyterias’. · What More Can Indian Corporates Do? It is time for the Indian corporate to step up the benefits they offer to women - from equal pay for the same work, to better childcare options. Organizations must also learn to recognize the unique aspirations of millennial women, and their desire for flexible work timings and a better work/life balance. The real changes, however, will come about when Indian men learn to lean in to the family, sharing the burden of parenting and household chores equally, and not leave it up to their wives to handle the ‘second shift’. This will promote true equality of the sexes in Indian society, and ensure that women can contribute more to the organization without the ‘double burden’ of work and domestic responsibilities. Also, Indian mothers must see it as their responsibility to raise boys who are equal partners of tomorrow’s working women. As communities, we must encourage and step in for the young working women in our families and ensure that they are free of any burden our guilt when their careers and motherhood collide. 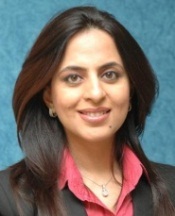 Ms. Charu Thapar, Managing Director - Property & Asset Management, JLL India.